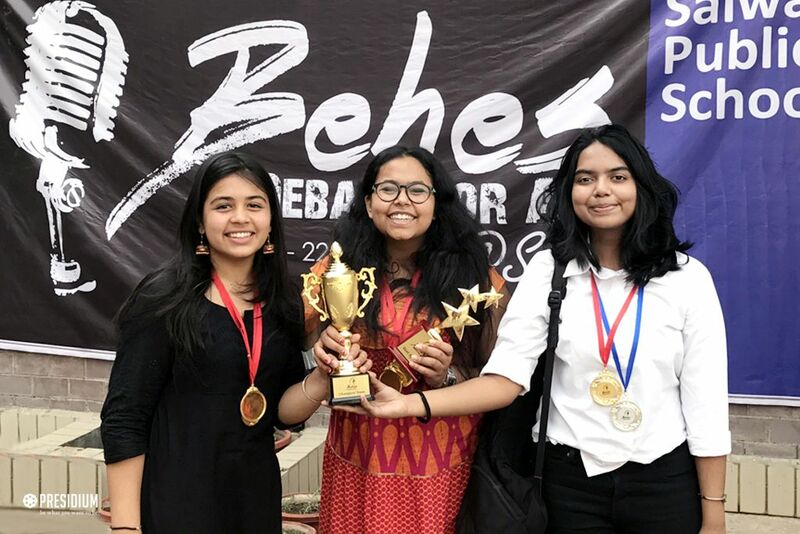 Presidium Gurgaon’s masters of debate and reasoned expression have won the Inter School BEHES Debate championship. They have qualified for national level Finals. Their intellect, reasoning and quick-witted replies gave them a well deserved win. 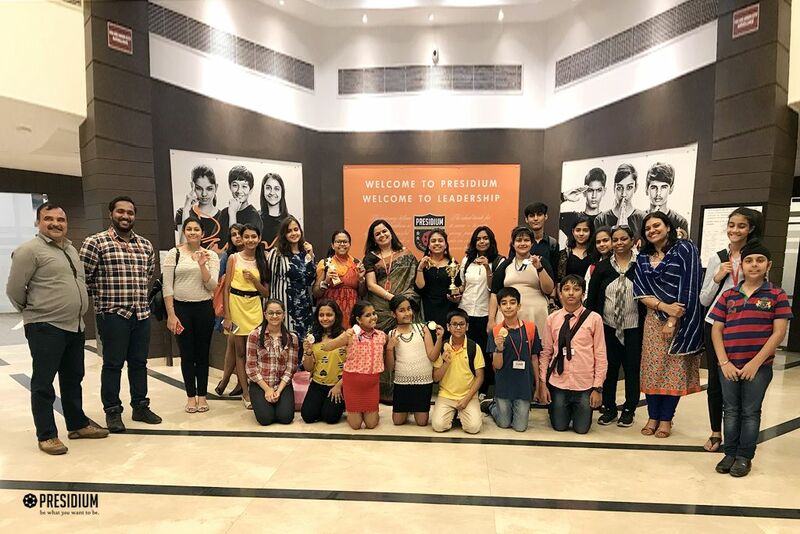 More than 200 students from schools all over Delhi, participated in the championship and Presidians outshined them and won a total of 14 medals-6 Gold, 5 Silver and 3 Bronze. They proudly claimed the Championship Gold trophy and the Overall Best Speaker trophy. 1. 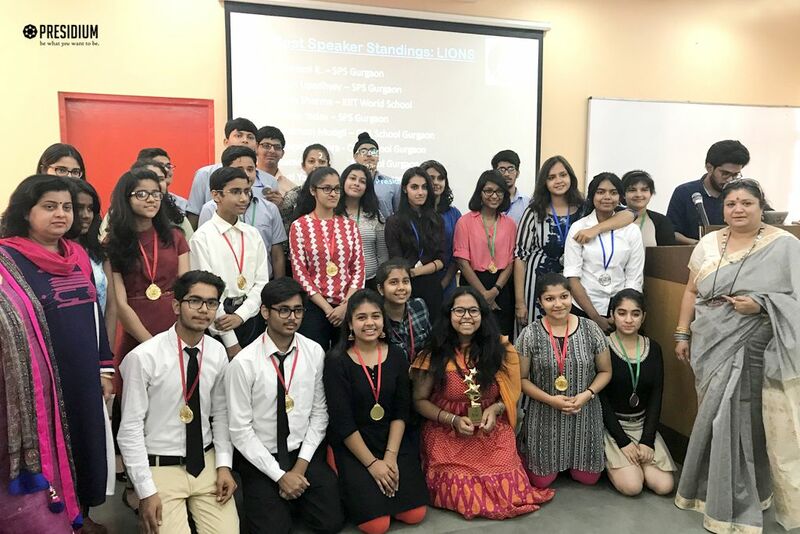 Prarthita Nath of Grade XII, won a Gold medal, the Overall Best speaker trophy and her team won the Championship trophy. 2. 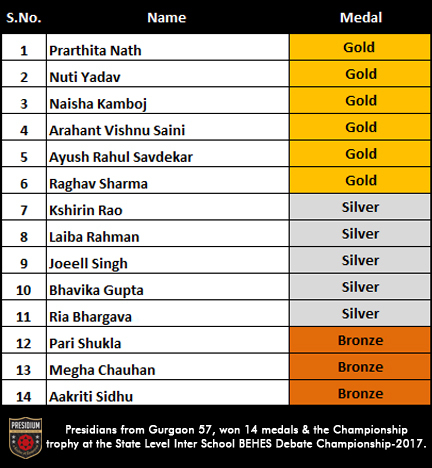 Nuti Yadav, from Grade XII, won Gold medal and her team won the Championship trophy. 4. Naisha Kamboj, from Grade VIII, won Gold medal. 5. Arahant Vishnu Saini, from Grade VII, won a Gold medal. 6. Ayush Rahul Savdekar, from Grade VI, won a Gold medal. 7. 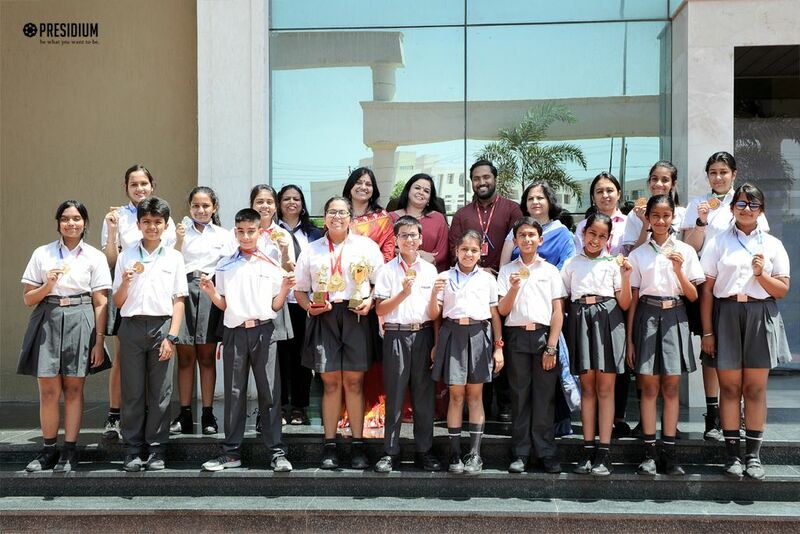 Raghav Sharma, from Grade IV, won a Gold medal. 8. Laiba Rahman, from Grade XI, won a Silver medal. 9. Joeell Singh, from Grade IX, won a Silver medal. 10. Bhavika Gupta, from Grade VIII, won a Silver medal. 11. Ria Bhargava, from Grade VII, won a Silver medal. 12. Pari Shukla, from Grade VII, won a Bronze medal. 13. 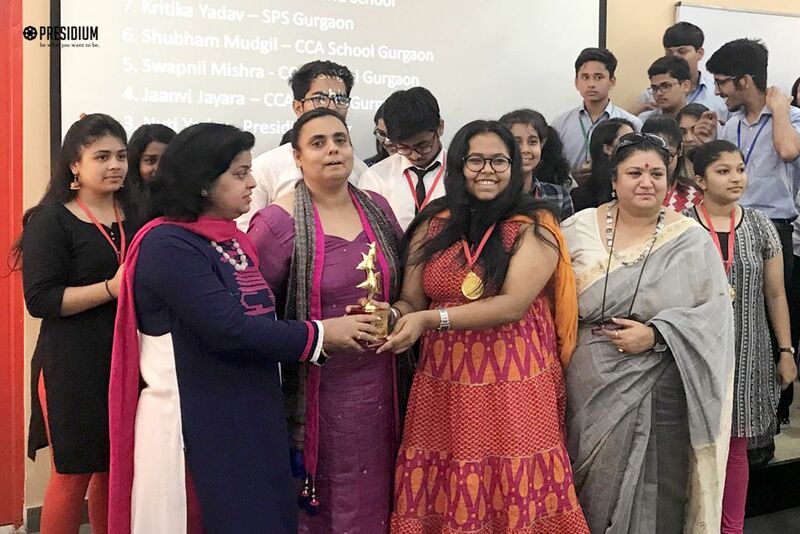 Megha Chauhan, from Grade XII, won a Bronze medal. 14. Aakriti Sidhu, from Grade IX, won a Bronze medal. 15. Prisha Sinha, from Grade VII, won a Bronze medal. 16. Nischal Parwani, from Grade VII, won a Bronze medal. Congratulations to our young debaters and their mentors.